Join us for an evening of fun and learning as Dr. Rudy shares some simple guidelines for gently facilitating the cleansing and detoxification of the body. How toxicity contributes to rapid aging and degeneration. How to use everyday foods for cleansing and detox. How to use herbs and other nutritional products to support cleansing and detox. Dr. Rudy will also answer your health related questions. Healthy snacks and refreshments will be served. 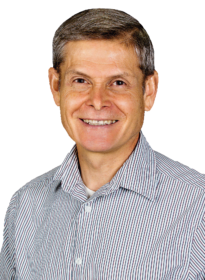 Dr. Rudy Scarfalloto brings over 40 years of experience as a health professional and teacher. He received his Doctor of Chiropractic degree at Life Chiropractic College and maintains a chiropractic practice in Atlanta, Georgia, specializing in gentle spinal adjusting, nutrition, and techniques for promoting the health of the internal organs. He also teaches health-related classes and seminars. Dr. Scarfalloto has also published 6 books: The Dance of Opposites, Cultivating Inner Harmony, The Edge of Time, and Nutrition for Massage Therapists, What Should I eat Book 1 – Finding your ideal Diet and What Should I eat Book 2 – Food as Medicine.